Elizabeth is a relatively new wine enthusiast, having had her most pivotal wine moment during the summer of 2008 when her travel client, a wine broker and importer, shared with her a bottle of premium, estate Napa Valley Cabernet Sauvignon. In March 2009, she took her first trip to the Napa Valley and Sonoma County. Tasting appointments included Anderson’s Conn Valley Vineyards in St. Helena (the source of that life-changing Cabernet Sauvignon) and her first Sonoma County winery, Trentadue Winery in Alexander Valley. 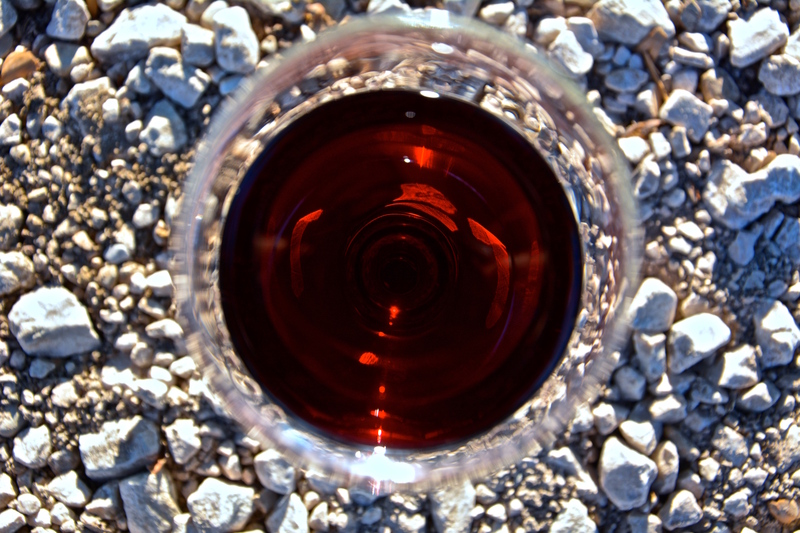 She also had her first Zinfandel at Trentadue Winery, the 2005 La Storia Zinfandel. 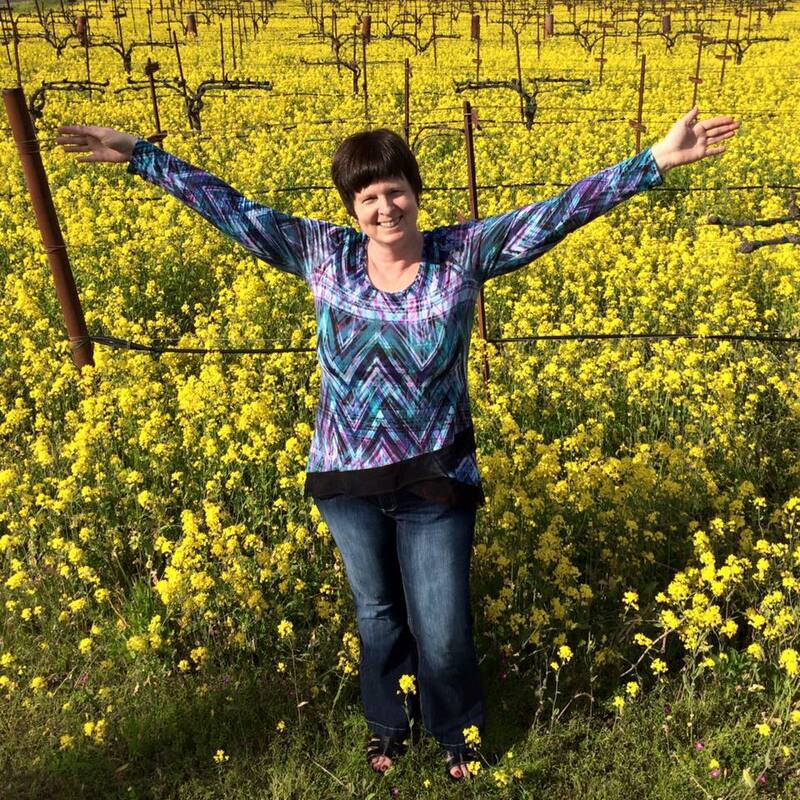 As she drove from the Napa Valley to Sonoma County, she said to herself, “I could live here.” Between March 2009 and December 2013, she visited 12 times. Elizabeth continued to teach community college French and Spanish until an unexpected budgetary reduction in force in fall 2012 caused her to rethink her career path. During her last semester of full-time teaching, she completed Wine & Spirit Education Trust‘s Level 1 Foundation and Level 2 Intermediate courses. In 2013, she held multiple part-time positions – online professor for another college and executive assistant for the wine broker and importer – the latter of which got her foot in the door of the wine industry. In January 2014, she made her thirteenth trip to California, this time to start her new career in the wine business. During her first four months, she completed Wine & Spirit Education Trust‘s Level 3 Advanced course via home study. She is currently the wine club and social media manager at Ehlers Estate in St. Helena, the marketing and social media manager at Passaggio Wines in Sonoma, a monthly contributor to Snooth, and a correspondent for American Winery Guide, which allows her to frequently explore and write about Sonoma County and Napa Valley wines and wineries. She also has her own wine and travel website at travelingwinechick.com, where she writes about wine, winery experiences, and wine tourism. In addition to her wine studies, she holds a Bachelor of Science in Education degree in French, a Master of Arts degree in French, 12 undergraduate hours in Spanish, 18 graduate hours in Spanish, and a Doctor of Arts degree in Community College and Language Education.